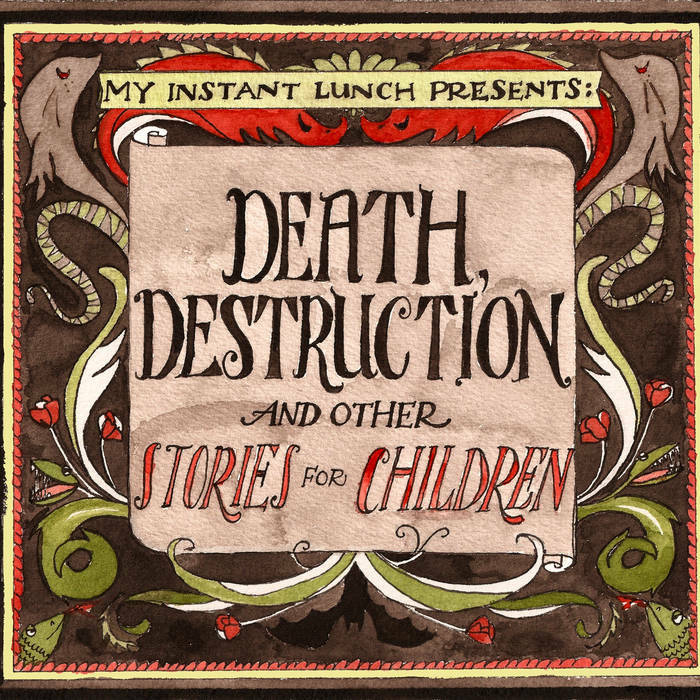 Immediate download of 11-track album in your choice of 320k mp3, FLAC, or just about any other format you could possibly desire. Each track has lyrics embedded and you get 3 digital pieces of hand drawn, color concept art by Mikaela Fuchs with your order. 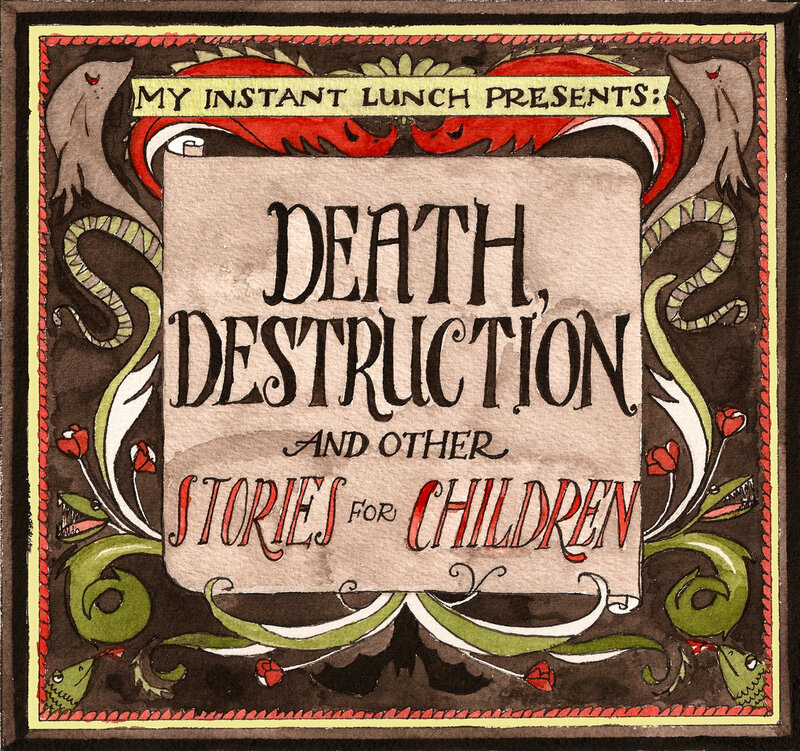 Death, Destruction & Other Stories For Children is My Instant Lunch's first full-length album. It is the culmination of a year's worth of writing and recording. Although many of these songs will be familiar to fans of the band's live show, their presence on record is a special treat for all. This initial digital release of the album comes with 2 additional pieces of hand-drawn, full-color concept art by Mikaela Fuchs. Lyrics for each song are included as well. By purchasing directly from the band, you cut out the middle man, thereby giving us financial means to make cookies and bring them to our next show for you. Not to mention addition to actually making it to that show. 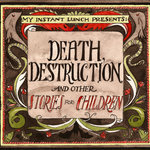 ©2011 All Songs Written and Performed by My Instant Lunch. Carl Purdy: Violin on "A Prelude of Space"
Tracks 1-6, 10 & 11 recorded, mixed and engineered by Mike Froedge at Open Sky Studio, Atlanta, GA. Tracks 7-9 recorded, mixed and engineered by Nick Duke in various houses and apartments throughout the United States. Mastered by Glenn Schick and Colin Leonard at Glenn Schick Mastering, Atlanta, GA.
All Songs Written by My Instant Lunch except for "Last Night Was The End Of The World" written by Andrew Sterling and Harry Von Tilzer. My dream is o'er, to live no more. Last night was the end of the world. I can hear the tides call out to me. Hold me under the sea. who knew that burning homes was such a promising career? gain a sense of urgency! Are you trying to throw it all away? They say "Get that wife of yours in line"
or lose your chance at Mars"
because this is a war.